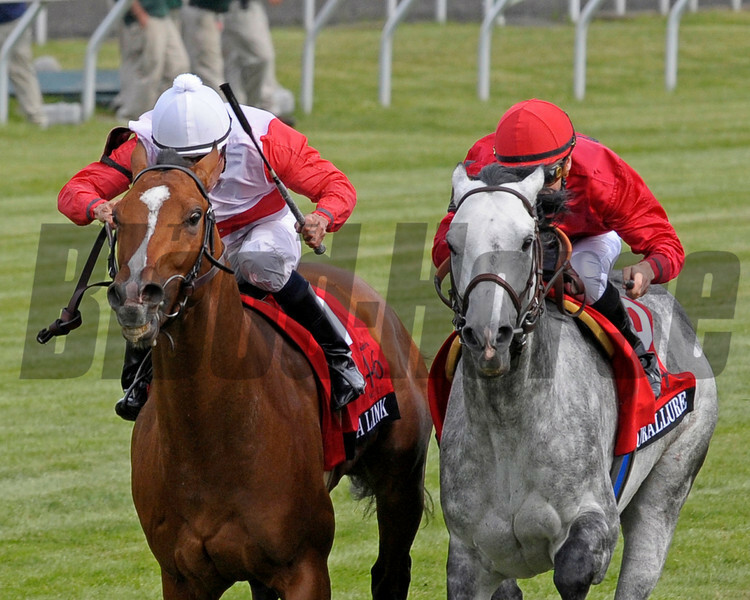 Caption: Data Link, left, with Turallure second on right. Data Link with Alex Solis up wins the Maker's 46 Mile (gr. IT) at Keeneland on April 13, 2012, in Lexington, Ky.